Move right in! This delightful townhouse has been updated from top to bottom! Brand new carpeting throughout. Freshly painted in neutral grey and blue tones. The kitchen features gorgeous new grey cabinetry, pantry and lovely tile flooring. The living room is bathed in natural light from the sliding glass door which opens to the back patio. 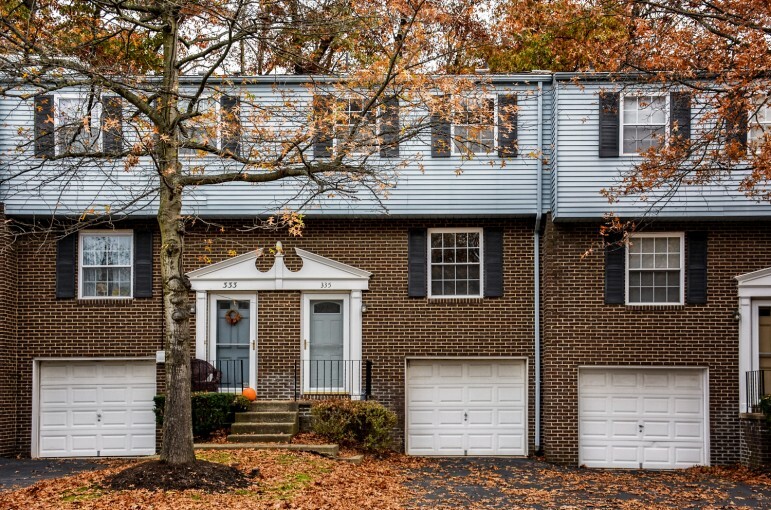 Enjoy views of the private, wooded backyard with room to roam. There are three spacious bedrooms upstairs with ample closet space. Attic allows for additional storage space. Garage and laundry room on first level. Low HOA fees. You’ll love the large grassy public courtyard. Conveniently located! LaPorte Court is tucked away from it all yet close to all Cranberry has to offer. Low Butler taxes. This one truly has it all!